Featured image from Peter Carter. Garden Island in the North of the Port River is one of the largest and most diverse ship graveyards in the world. The graveyard is also haven for birdlife and marine creatures. The ships are best seen by canoe or kayak. 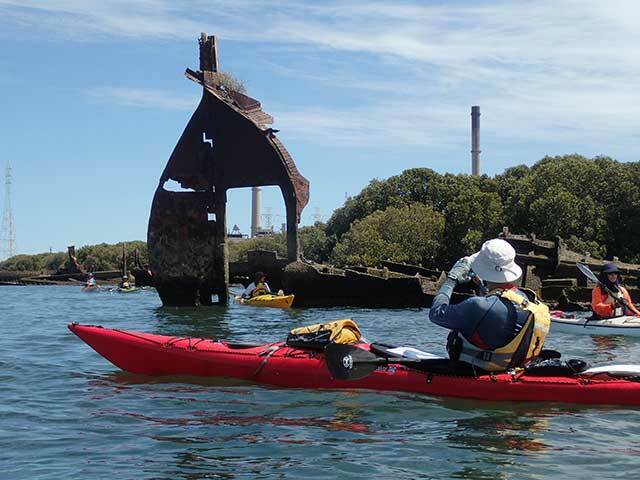 Local canoe club and tour operators conduct paddle tours of the wrecks. Always let someone know when you are paddling and what location with an expected time of return. Boats use the area so be aware and stay to the left to allow safe passing.